National Council on Patient Information and Education (NCPIE) reported 75% of patients don’t take their drugs as prescribed. This issue causes about $47 billion hospitalizations each year. Pharmacy specialists can prevent or decrease medication errors and increase the medication adherence if they will provide patients with proper education and counseling, pharmaceutical reviews and monitoring. NCPIE is asking for a national plan and trying to resolve the issue on the highest level, while the low adherence discussion is about 30 years old, but didn’t receive enough attention. It wasn’t considered as a serious health issue and so, caused the low level of citizen education in this field. Along with NCPIE, New England Healthcare Institute (NEHI) stressed the attention on the importance of pharmacist-patient counseling and education in resolving the low medical adherence. NEHI report was presented in August 2009. Both entities emphasize that there’s a need for improved communication between the patients and pharmacists. Also, they pointed out the increase of associated costs have been rising and the decrease of adherence rates. You can read more about the medical adherence in the article here. Unlike pharmacists, many Americans don’t know about specific risks of non-adherence or misuse of different kinds of medications taken. Unfortunately, incorrect medications or incorrect use can cause severe medical complications or death. NCPIE informs about the need to enable pharmacy specialist to provide their patients with the comprehensive counseling and study them to use the medications in the right way, tell them about side effects and the importance of the regimen to avoid medication misuse or non-adherence. 2006 NCPIE reported about next types of non-adherence: 49% of patients have just forgotten to take the medication; 31% have not filled the prescriptions; 29% stop taking their drugs before the supply runs out and 24% take fewer medications than prescribed or recommended. There are two groups of people who are more inclined to use medications incorrectly: children and seniors. They have different reasons such behavior. Children don’t manage their medications in most cases and their parents could be confused by different instructions for use (those include age, weight, medical restrictions for different conditions etc.). Seniors could be confused because of the number of medications they take, plus they don’t have as good memory, hearing, and vision. Another group of patients with high non-adherence rate is chronically ill patients. They often stop taking their medications after six months of their treatment. It can be caused by the low health outcome if they don’t adhere to their regimen and this can lead even more medical care provider visits or even hospitalization. Those patients with diabetes or heart disease, who don’t adhere to their medical regimen and recommendations have higher mortality rates. National Council on Patient Information and Education pointed out several factors, which caused low adherence rates. Here are some of them: miscommunication or poor communication between patients and pharmacy specialists, the absence of basic knowledge about adherence management principles, professional barriers and operational aspects of pharmacy. From the patients’ point of view, NEHI found several barriers to high rates of medical adherence. The most important are: reduced sense of urgency, imperfect regimens, side effects, the difficulty in managing several different prescriptions and simply forgetfulness. Six steps were recommended by NCPIE to increase the adherence rate. All of them are about the communication between patients and pharmacists. First of all, pharmacy specialist needs to help the patient adhere the regimen. Pharmacists should collect and share the information about the medications prescribed and initiate a dialogue with a patient. It will be even better if they could discuss a health care plan benefits, ask questions about the benefits and medications. This will help pharmacists to make better decisions. Also, NCPIE recommends checking patent’s compliance every month and share (if possible) with this information with the patient’s health care provider. On the top of that, pharmacy specialists should make their patients aware of different medical devices and adhere aids, medications use and side effects, monitoring activities. The recent study showed, that the medical adherence was improved by 12% by pharmacists visits to elderly patients and another study concluded 43% increase of adherence rate for elderly patients who had a counseling before and after hospital discharge compared to patients, who didn’t get such a service. The third study was focused on the patient who had a heart failure. Their medical adherence was increased by 46% with the help of medical counseling combined with dose simplification. Pharmacists have noticed, that not always the patient picks up the prescription medications. In this case, the best solution for increasing the adherence would be the easy-to-understand medication literature. Unlike counseling and other strategies, this method is more challenging but could bring the same effective results. About 95% of pharmacists, who took part in surveys, told that patient-counseling literature from manufacturers will help them to provide the patients with more efficient counseling and education. 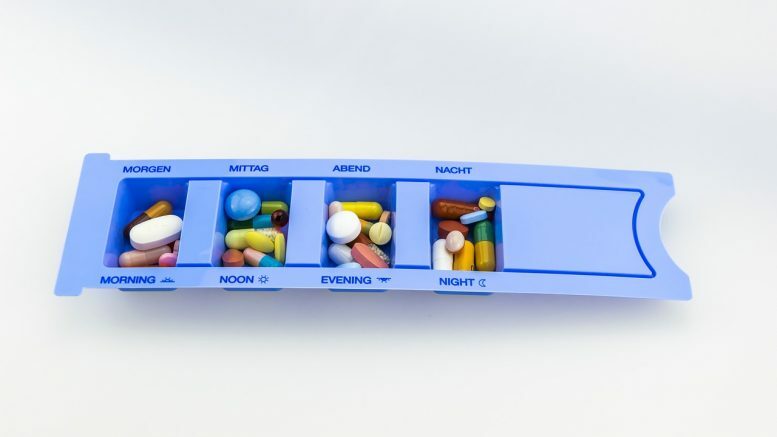 The Institute for Safe Medication Practices also pointed out low literacy patients’ skills, which prevent them from the high rate of adherence, because the patients are not able to understand properly the medication instructions or labels. The study showed, that about 90 million of U.S. citizens read below the fifth-grade level, at the same time almost all the instructions are written at a higher level. Images would help customers to understand the instructions better. It’s important, because the low level of literacy leads to a high level of misunderstanding, and so – misuse of the medications. Effective pharmacist-patient communication can be reached only if there will be the system of patients’ education, the study of pharmacists communication effects and the pharmacy education curriculum updated. Several major organizations emphasize the necessity of the explanation of the ever-growing role of pharmacy specialists to the public because there are a lot of new functions and services pharmacies are providing. In this case, customers will understand, that pharmacy is not only a drug vendor but also a place, where anyone can get a medical advice. NCPIE suggests pharmacy schools and colleges adopt their educational program for new pharmacy functions, so new specialists will be more educated in medical adherence management. Also, NCPIE asks the federal government to collect the data of adherence intervention practices and medication management. Published in 2009 by North Carolina Pharmacist, “Medication Nonadherence: A Call to action,” let us know, that pharmacists are qualified to talk about the importance of medications and the adherence with their customers. According to the same article, the non-adherence is a widespread problem, but only several pharmacies have special protocols. Those protocols show how to address the need for patient education regarding a low rate of medication adherence. Be the first to comment on "Pharmacy Specialists Communicate To Prevent Errors And Increase Medication Adherence"